Bike Helmet legislation to require use of the helmets causes some controversy. 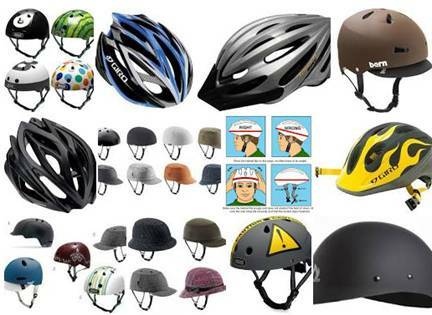 NCBI studied the safety and effectiveness of bike helmets related to head injuries. It was found that bike helmets may reduce the risk of head injuries. Five studies from North America were used. So far the helmet legislation enacted only applies to children. “Adults were used as controls in four of the studies, whilst jurisdictions with no helmet legislation were used as controls in the fifth. Three of the studies reported on changes in head injury rates and three reported on changes in helmet use. There were no included studies reporting change in bicycle use or other adverse consequences of legislation. In two studies, statistically significant decreases in head injuries were reported following the implementation of helmet legislation compared with controls, whilst one reported a non-statistically significant decline. Bicycle helmet use increased statistically significantly post-legislation in all three of the studies reporting on helmet use. Should there be statutes requiring adults wear bike helmets? Is it a question of personal responsibility?